Special thanks to John Strobel for contributing much of the information on this page.
?  Mary Broughton Motte gave her daughters Charlotte Maria Henrietta Motte and Mary Jones Motte part of the property as a dowry before her death in 1842.
?  James Ferguson became the next owner of Farm Plantation. 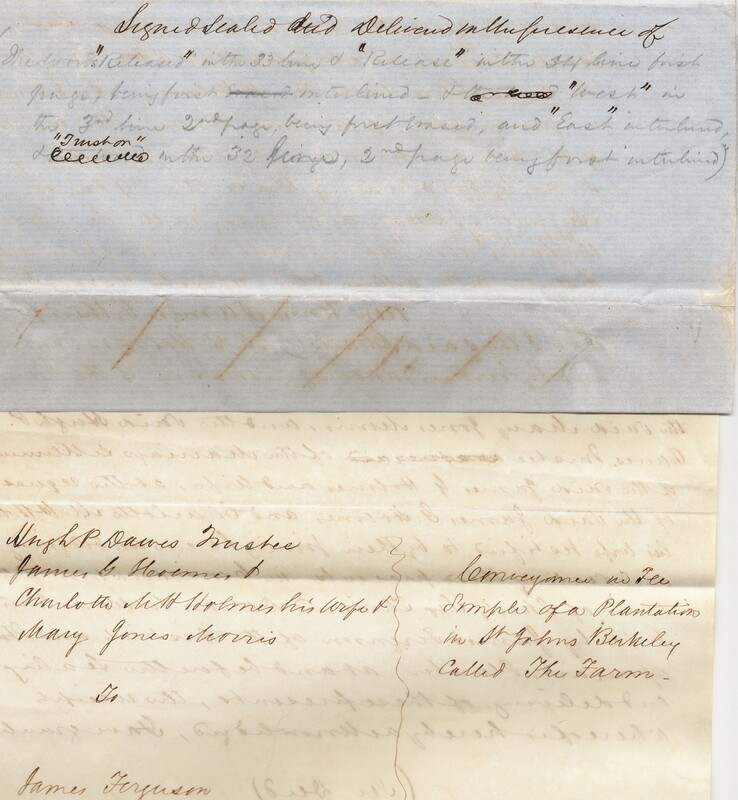 This conveyance drafted sometime 1849-1864, documents the transaction from the joint owners to Ferguson. The sale to Ferguson was for the Farm Plantation as well as part of the Seaton Plantation and part of the Elbow Tract.